Are you looking for a quick and lovely holiday gift idea? 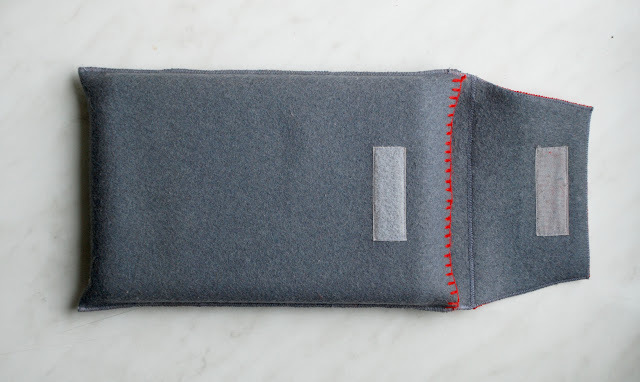 Here’s one for you a wool iPad, Kindle or Tablet PC sleeve. This great accessory suits both men and women, children and grandparents. The cover or sleeve protects the device from scratches, chips and other damage. Step 1. First of all you need to measure your gadget to calculate your pattern. Here you go – you need to cut from your felt a rectangle of such size: 21.85 x 9.31. Step 2. Fold the rectangle on the longest side leaving about 3 inches for a flap. Step 3. Sew together the two sides of the rectangle with the thick zigzag stich to make it hold better. Step 4. Sew the piece of velcro tape at the backside of the flap and the front of the rectangle as shown at the picture. At this point your basic case for iPad or Kindle is ready and it is up to you to decide how to embelish it: you can sew some buttons, add lace or embroidery. 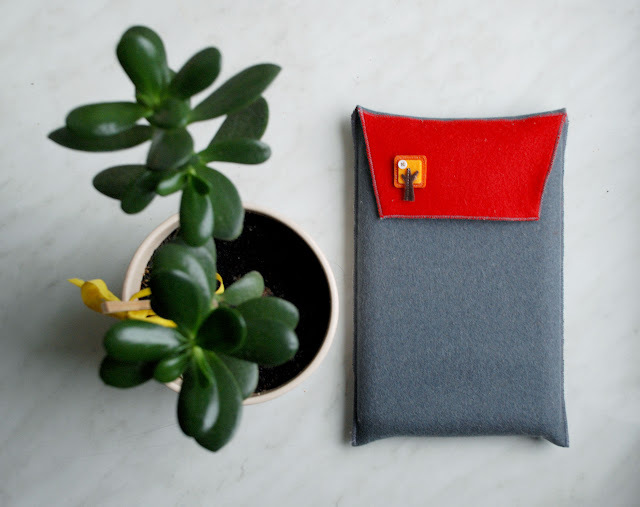 Using different decoration for your handmade felt case can help personalize the gift and to satisfy even the most choosy ones. Step 6. Sew a chain ( or tambour ) stitch at the front side of the sleeve. Step 7. Cut out a rectangle of the size similar to the size of flap side. Sew it on the front side of the flap. Step 8. 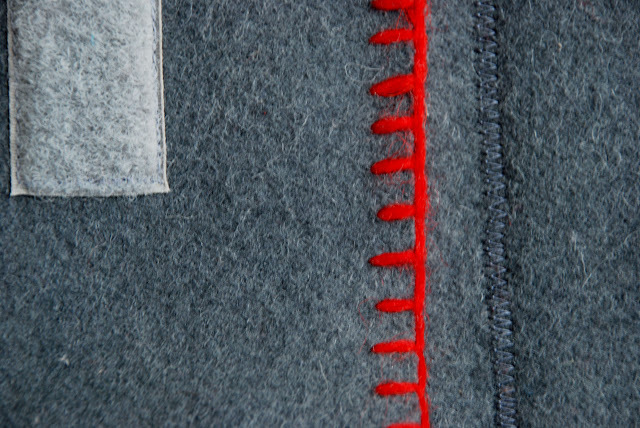 Glue a decorative felt tree on the front of the sleeve just below the end of the flap.